This whimsical bouquet is the perfect way to show your love this Valentine's Day! 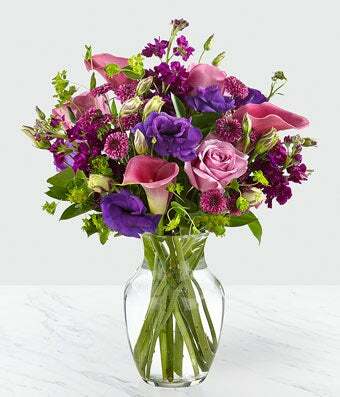 Stray away from the traditional reds and send this beautiful bouquet in shades of pinks and purples! This arrangement is picked fresh from the farm and is shipped directly to your recipient's door.